Not sure why the low ratings. Maybe too dark for the newbies? 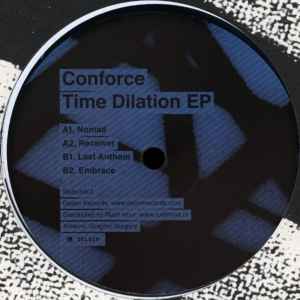 This is one of the darkest techno stuff Conforce has done. A few are down right sinister and aome of the truest techno hes done. This one has staying power compared to his stuff that the beats may blow u away first. Oh my freaking god this guy has done it again. This EP is 5 stars, ALL FOUR TRACKS! "Last Anthem" is like a deep more aggressive version of "Vacuum" which I loved so much back in 2011. "Last Anthem" has the same sick dark bass line but a much heavier kick drum. "Embrace" is a complete menace to the dancefloor, and the largely percussion driven "Nomad" is another complete monster. I'm overwhelmed by this level of quality. HOLY SH*T! !